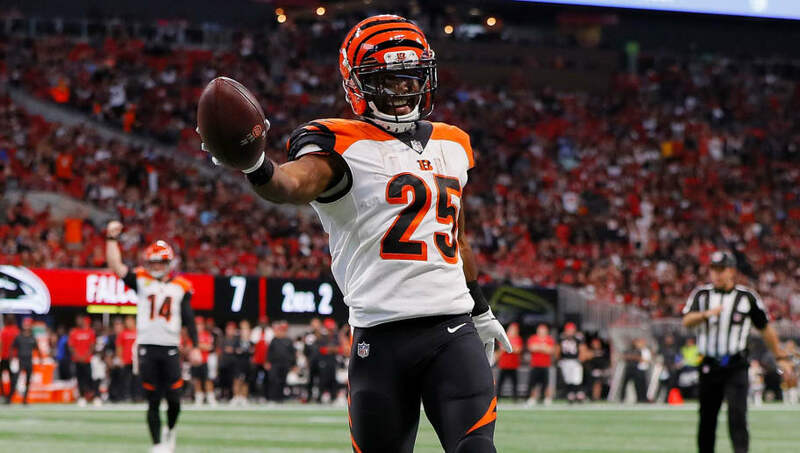 Cincinnati Bengals running back Gio Bernard was limited in practice on Wednesday, but it appears like he'll be good to go against the New Orleans Saints on Sunday. The team had a bye last week, so the extra time evidently gave him the extra boost necessary to be healthy. Of course, starting running back Joe Mixon will handle the bulk of touches for the Bengals, but Bernard could find himself in an interesting spot as the team will be without star wide receiver A.J. Green for at least two weeks. If the Bengals choose to do so, they could put Bernard in on more two-back formations, and maybe even work him in as a slot receiver on certain downs (or have Mixon in the slot and Bernard in the backfield). The last time Bernard and Mixon shared the same backfield was all the way back in Week 2 -- Bernard saw seven targets in that game, and that was with Green having a huge performance that night. All in all, we know Mixon is likely going to have significantly more touches than Bernard. However, with four teams on their bye week, Bernard could certainly be someone to be on the lookout for on the waiver wire.